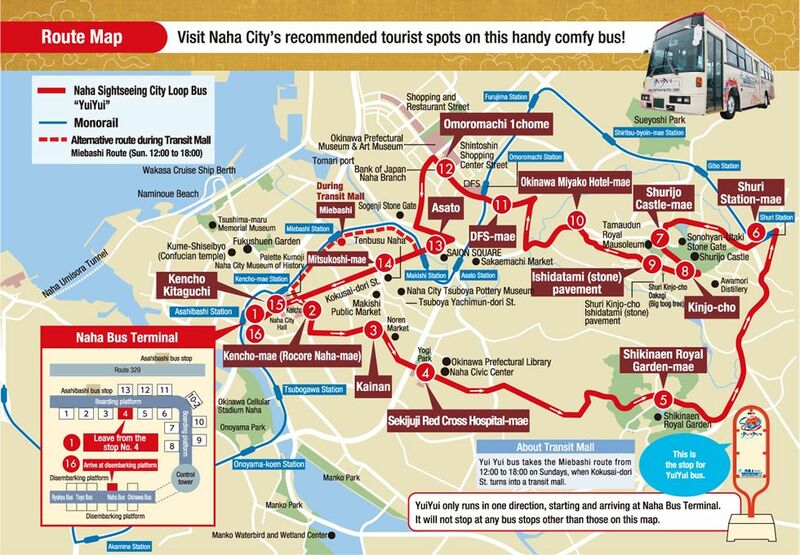 You will be docked in Naha New Port, about a 20 minute walk from downtown. Shuttles to downtown in general available. They drop you off very close to the monorail. It is about a mile walk to the monorail. Okinawa is the only subtropical area in Japan, and with its geographical location and background of once being an independent State called the Ryukyu Kingdom between the 14th and the 19th centuries, it has developed a unique culture (influenced mostly by China, Japan and Korea), rich history and natural diversity for all to enjoy. Therefore, Okinawan culture is very different from that of mainland Japan; it has own unique language, music and traditions, including traditional arts and crafts. Its people are well-known for their hospitality. Shuri Castle, the former palace of the Ryukyu Dynasty, is one of the finest gusuku (Okinawan castle) and most important historical sites in Naha. The palace was almost completely destroyed in 1945 by an attack by the US Army and Navy. After the war, the University of the Ryukyus was constructed on the site. Today Shuri Castle has been reconstructed, including Shurei no Mon, its main gate, and registered as UNESCO world heritage sites. Shikinaen Garden: Shikinaen was constructed in the end of the 17th century as the second residence of the Ryukyu kings. It features beautiful, relatively simple, wooden palace buildings with Okinawan style, red tile roofs and a spacious Japanese style landscape garden. The pleasant garden can be viewed from a circular path, which leads through the woods, along the ponds, over the bridges and past a pretty hexagonal building on a small islet. While designed in a style seen elsewhere in Japan, the garden is given a distinct Okinawan flavor by its buildings and subtropical flora. Shikinaen can be accessed by bus number 1 and 5. Get off at "Shikinaen-mae" bus stop, from where the park can be reached in a short walk. Bus number 1 provides a direct connection to Shuri Castle. The southern most point of Japan, Okinawa's first monorail called "Yui-Rail" runs approximately 13km from Naha airport to Shuri castle in about 30 minutes. Okinawan popular traditional arts and crafts include Ryukyuan glass, Ryukyuan lacquer ware, Shuri-ori textiles, Tsuboya-yaki pottery, and Bingata stencil dyed fabrics. Visitors are able to enjoy them at the "Tenbusu Naha" in the middle of Kokusai Street.